I first met Harold “Red” Dootson in 1959 when we were sitting next to each other, registering for the Drama course at the University of Alberta, Edmonton. What in the world were two country hicks doing registering for Drama? 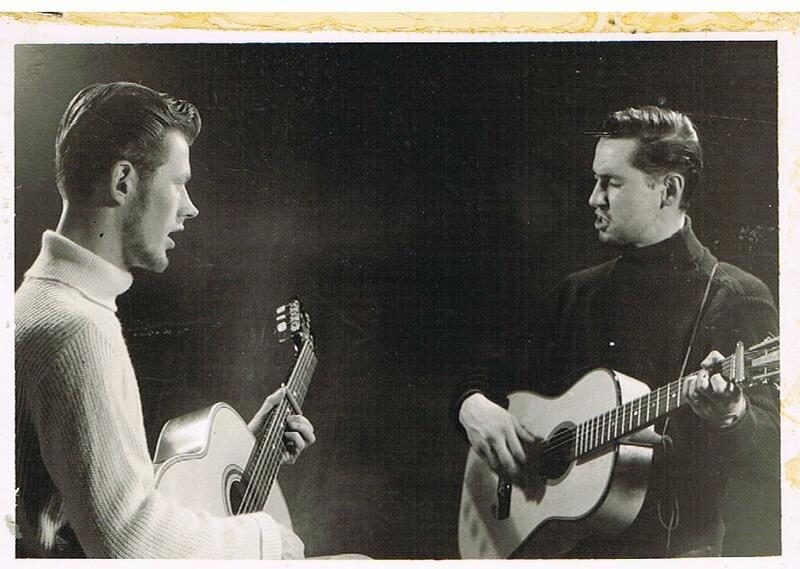 To put the icing on the cake, we both played guitars, and as part of the folk revival, soon formed a duo that caught on with most people we knew. I remember us playing at a high school, signing autographs. 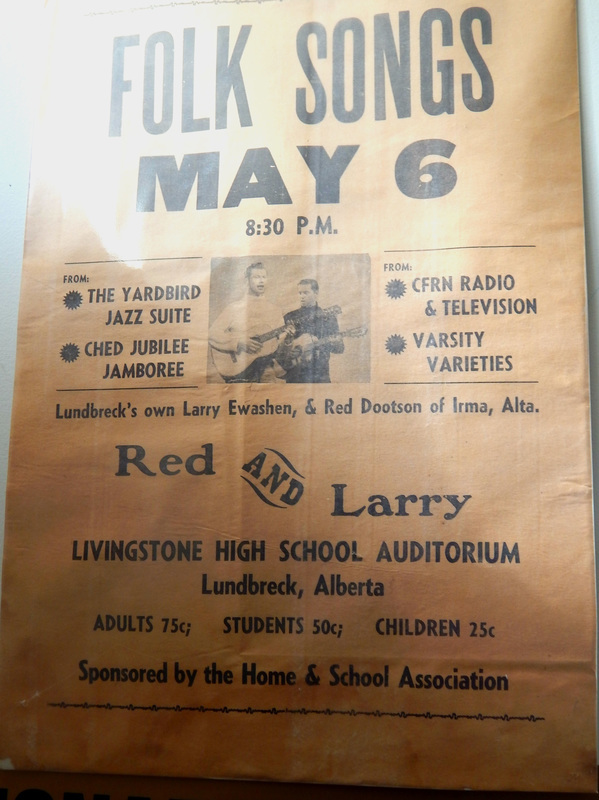 We were the opening act for a concert at the university by Canadian folk star Bonny Dobson, as part of Varsity Varieties we sang in front of 3,000 people at the Jubilee Auditorium. 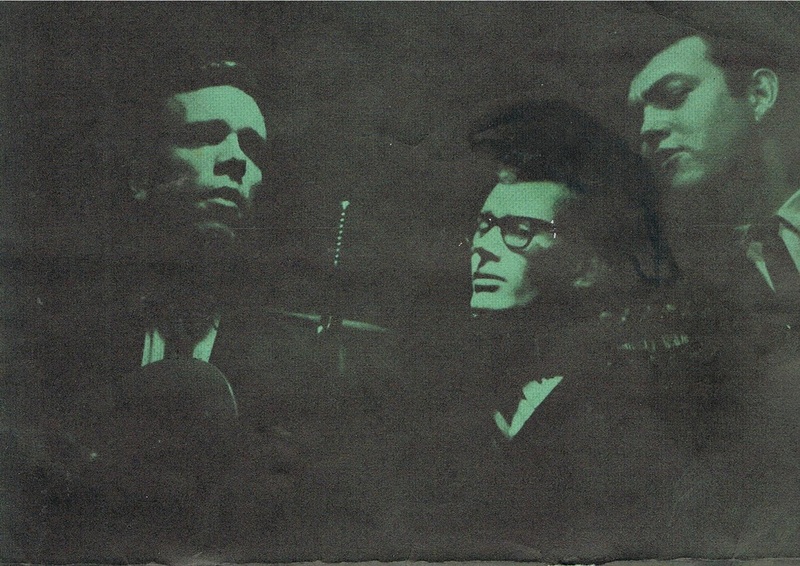 There were concerts at local jazz clubs and radio and television shows. On the Drama front I directed and Red starred in a play that won the Edmonton Drama Festival. We also toured another play to the provincial festival in Red Deer. All of these were extra curricular activities. We had a full course load and many hours of rehearsal every week in our university productions as well as demanding classes. 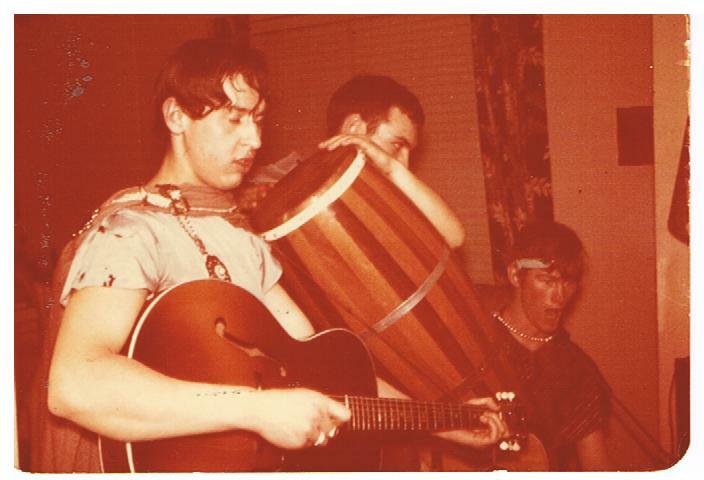 Larry Ewashen, Ken Welsh, Red Dootson, U of A performance. Our singing was a hit on the campus and we were invited to many parties. I remember one evening where people were razing Joe Clark, and he said: ‘You can laugh at me now, but one day I will be Prime Minister of Canada.’ Jim Coutts, who became Pierre Trudeau’s right hand man, was also there, as well as Dwayne Rowe, now Supreme Court judge. It was a full rich university experience. 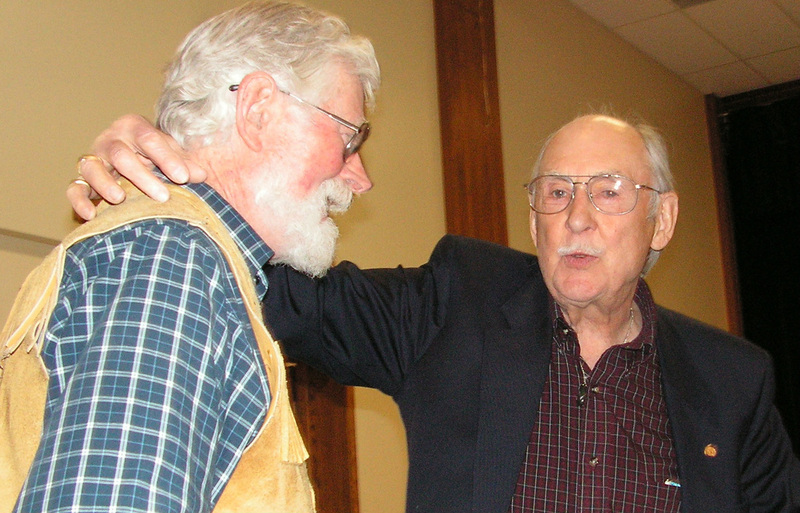 My brother Bob lived with us part of this period and had this to say about those times: “I have many fond memories from U of A days, when I was living with Larry and Red, as I knew him. The music, the girls the boys squired around and the parties, not to mention the friendship and camaraderie of the times. As he has been over the years, he will remain in my thoughts of good times passed”. 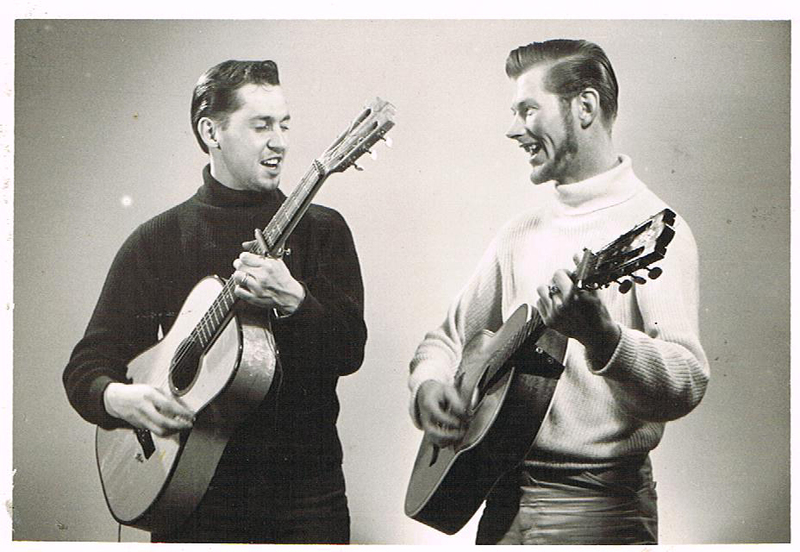 When we finished our final exams we did not stand on stage in cap and gown, but with suitcase and guitar in hand, hitch hiked to my home town, Lundbreck, where my other brother Alex had arranged a concert for us at the local high school sponsored by the Home and School Association. This provided some seed money for our next journey, and after an eventful farewell party, Alex drove us to the main highway and we were on our way: Trinidad or Bust! ​After a dreary two or three days hitch hiking which included a voluntary stop over in a town jail, and the Sally Ann in Regina, we were reaching an impasse near Indian Head, Saskatchewan. No rides! In desperation, one of us was hitch hiking in the other direction, just to get away from this dead spot. All of a sudden a freight train came rumbling by, then slowed and stopped at the crossing on the highway. We looked at each other, and headed for the train. A few scrapes and bruises, but we were in Toronto in short order. The next day, we went down to the docks, intending to work our way on a bauxite freighter to Trinidad. To our dismay, the wharf was ringed by picket lines and a general dock workers' strike. Our Trinidad trip ended in Toronto. 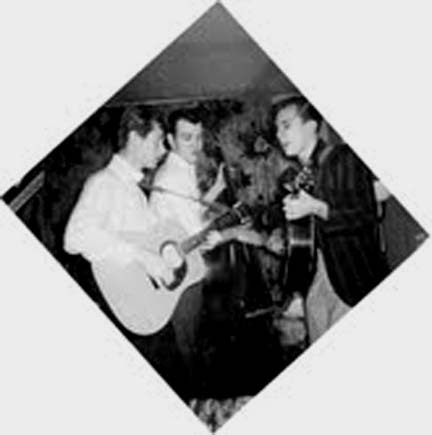 This was a blessing, because our singing quickly became a hit among the folk revival coffee houses and we mingled and played with many performers who later became household names, Ian and Sylvia, Gordon Lightfoot, Joni Mitchell, The Travellers and others, as well as touring singers from the US. Among many appearances, Harold sang at Ian and Sylvia’s wedding. ​Yogi Berra said, when you come to a fork in the road, take it, and so it was. 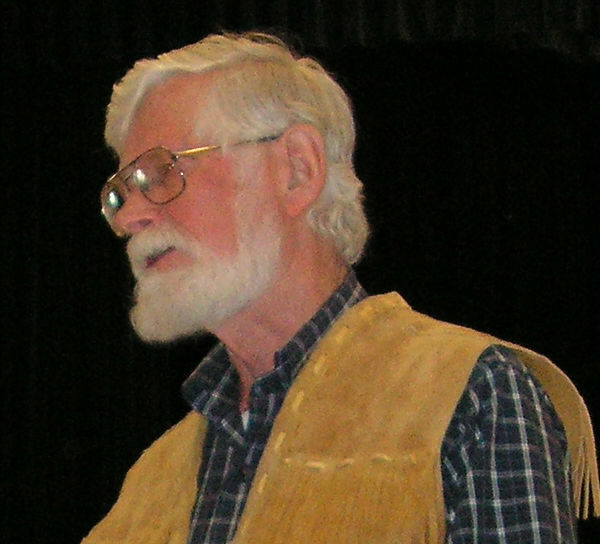 Harold fell in love, completed a teaching degree at the Ontario College of Education, and returned to Alberta to enter a dedicated teaching career in Drama and English and to raise his family. Through the internet, we reconnected when I moved back out west and resumed our relationship via email. Then I and the brothers came to Ponoka for Mabel’s and Sam’s anniversary. I had the good fortune of staying with Harold, and we spent two days reflecting on our past experiences and enjoying each other’s company. I am grateful for this and these are fond and lasting memories. My brother Alex had this to say about our re-acquaintance: 'After meeting once again and getting reacquainted at Mabel and Sam's anniversary party, "Red" and I corresponded quite often by e mail. One time he said, "Even though we hardly knew each other all these years, I feel that I have known you all my life". Red gave me one of his beautiful knives as a "Thank You", for organizing the concert in Lundbreck, and for mopping up after the Farewell Party. Red was truly "One of a kind". We sang the same songs, Wayfaring Stranger, He Was A Friend, and Hard Travelling, and for a few unforgettable formative years, we travelled the road together. Leo Tolstoy said: To live well is to die well’. Harold lived well, and he died well; leaving a memory of optimism and hope, happy times, and touching our lives with dignity and grace and an old fashioned friendliness. So long old friend, and happy trails. May flights of angels sing thee to thy rest.